President Trump promised during the campaign to crack down on hedge fund managers who were "getting away with murder." 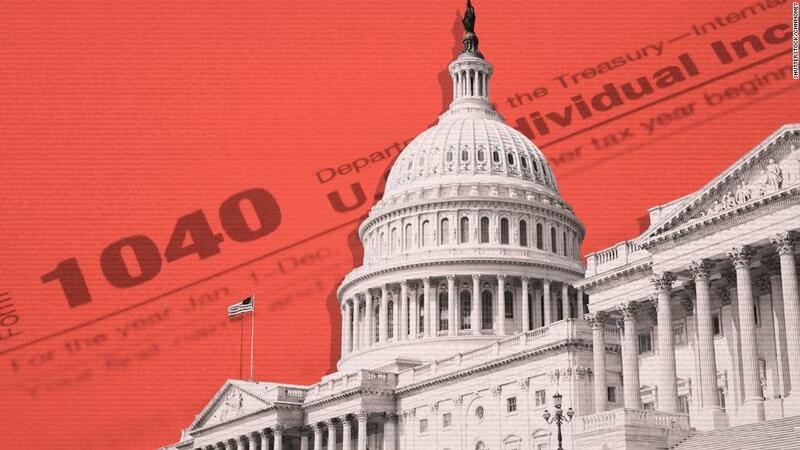 But a rule that allows some rich investors to catch a break on their taxes has mostly survived the Republican tax overhaul. The tax break is called the carried interest provision. Fund managers pay a 20% tax on their share of investment profits, plus a 3.8% investment tax, instead of the higher rates they would pay if the money were taxed as ordinary income, according to the Tax Policy Center. This is true even though their salary is often just a share of the profits they made managing other investors' money. Its existence was a bane for Trump during the campaign. "The hedge fund guys won't like me as much as they like me right now. I know them all, but they'll pay more," Trump said during a Republican debate sponsored by CNN in September 2015. "I know people that are making a tremendous amount of money and paying virtually no tax, and I think it's unfair." And he told CBS's "Face the Nation" in August 2015: "Half of them, look, they're energetic, they're very smart, but a lot of them, it's like they're paper pushers. They make a fortune, they pay no tax. It's ridiculous, OK? ... The hedge fund guys are getting away with murder." Although hedge fund managers are frequently cited as a major beneficiaries of the carried-interest rule, it's really private equity managers, real estate managers and venture capital firms that come out ahead. And it's not just Trump who has laid into the rule. Other critics have ripped carried interest as a loophole that allows wealthy fund managers to get a break others can't. Gary Cohn, Trump's top economic adviser, told Axios this week that the provision is unfair, and that the White House "probably tried 25 times" to kill it during the tax negotiations. "The president asked just this past Monday if we could still get rid of it," Cohn said, according to Axios. He blamed Congress, citing unidentified House Republicans from Democratic-leaning states. Industry insiders say the provision is vital for what they do. In the venture capital world, carried interest creates an incentive for investment in risky start-ups, said Justin Field, the vice president of governmental affairs at the National Venture Capital Association, the industry's trade group. "It takes a long time to build a startup into some sort of company that can succeed on its own," Field said. "If you want to see long-term, patient investment and risky capital formations for entrepreneurial activity, then carried interest is the absolute type of policy that you want to see." The final tax plan doesn't leave the provision untouched. It says fund managers have to hold investments for three years, instead of the previous one year, to qualify for the lower rate. To Field, it's a fair compromise. Hedge funds, for example, often make shorter term bets, and might not have held on to an asset for that long. "You can still go after financial management without unduly punishing those who are actually trying to build real value in the economy," Field said. Steve Rosenthal, a senior fellow at the Urban-Brookings Tax Policy Center, called that view "malarkey." "This is just happy talk by private equity advocates to make it appear that this provision is doing something," Rosenthal said. He called the changes to the carried interest provision "completely ineffective." Private equity funds already hold their property for five to six years on average, he said, meaning few funds would be affected by the change in language in this bill. There's also the question of how much money the change to the carried interest provision could yield. In a report released before the bill was finalized, the nonpartisan Joint Committee on Taxation estimated that it would increase revenue by a total of only $1.2 billion from 2018 through 2027, or $120 million a year. By comparison, a recent Democratic proposal to close the carried interest provision was estimated to increase tax collections by $17 billion over 10 years, including $1.6 billion in its first year.